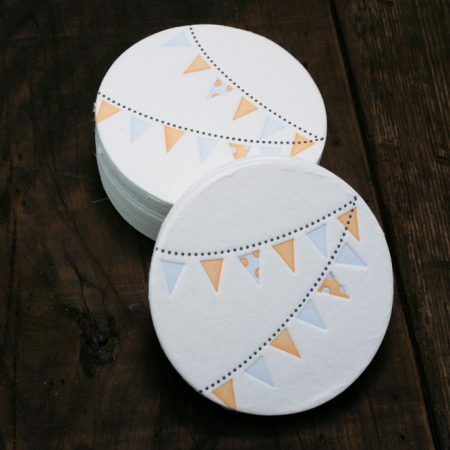 Letterpress coasters are a fun and creative alternative to regular old boring drink coasters. 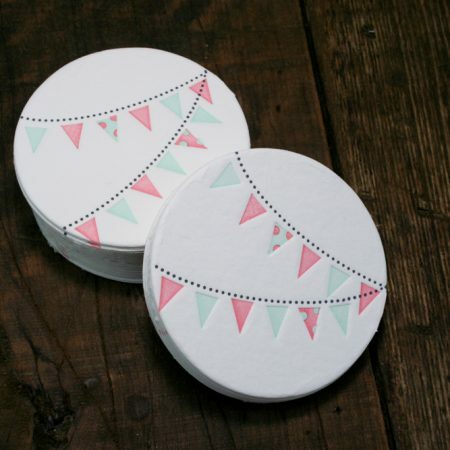 For a birthday party or baby shower, these letterpress drink coasters offer an eye-catching alternative that will get praise for your attention to detail. Twin Ravens press produces unique letterpress printed coasters and greeting cards, wedding invitations and custom letterpress business cards. Browse our shopping categories to see what’s new, and check back as we come up with different coaster designs soon. Own a store? Contact Twin Ravens Press to become a stockist and start offering these letterpress coasters in your store today!